June 19, 2000. We had been married not quite a year and it was my husband’s birthday. I looked around our newly acquired apartment. Boxes lined the white, bare walls and the carpet was hardly visible. With no pictures on the wall or clothes hanging in the closets, this place didn’t quite feel like home yet. “How can I do something special for his birthday in this mess,” I thought regretfully. As I continued to unpack the boxes and assign the dishes to a cabinet, I came across the box of beautiful china place settings we were given as a wedding gift. “That’s it!” I had an idea. I set to work, browning the meat (probably had to run to the store first!). At 19 years old, I wasn’t real comfortable in the kitchen yet, but was determined to get there! Next, I began arranging the chips on the plates, grating cheese, spooning out salsa, sour cream, and maybe slicing an avocado (if they were on sale!). Can you guess what’s on the menu for this occasion? 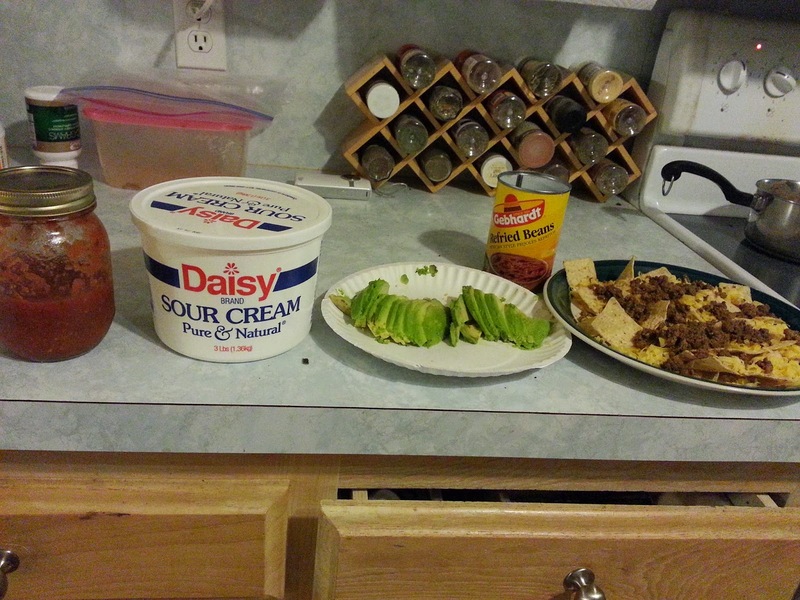 Yep, nachos! I will never forget eating nachos on fine china plates, sitting on our tiny barstools to fit our tiny “bar” while we overlooked a ransacked apartment. But in my husband’s eyes, it was perfect! It was his favorite meal, with his favorite wife, in our first apartment – what memories! 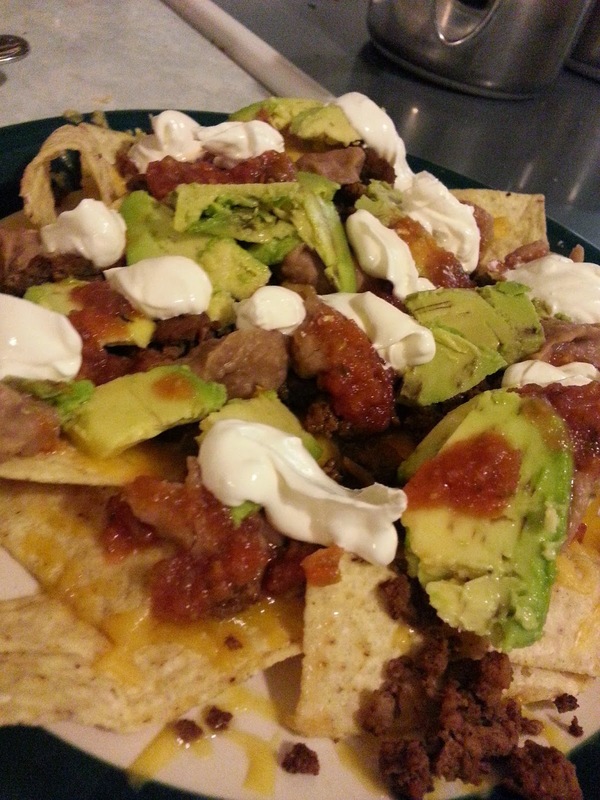 A recipe tab on my blog page would not be complete without our nachos on here! 1) Grate the cheese yourself – it tastes and melts better! 2) Put the chips, cheese and meat on an oven-safe plate and place in the oven on 350 just long enough to melt the cheese. This keeps the nachos warm longer! Sometimes I still think, “How can I do something special in this mess?” There are still times boxes line the walls and nerf bullets cover the floor even though we moved in 8 years ago. To me, food is about making memories with my family. It doesn’t have to be perfect and the house doesn’t have to be tidy. OK, so maybe the table needs to be cleaned off! 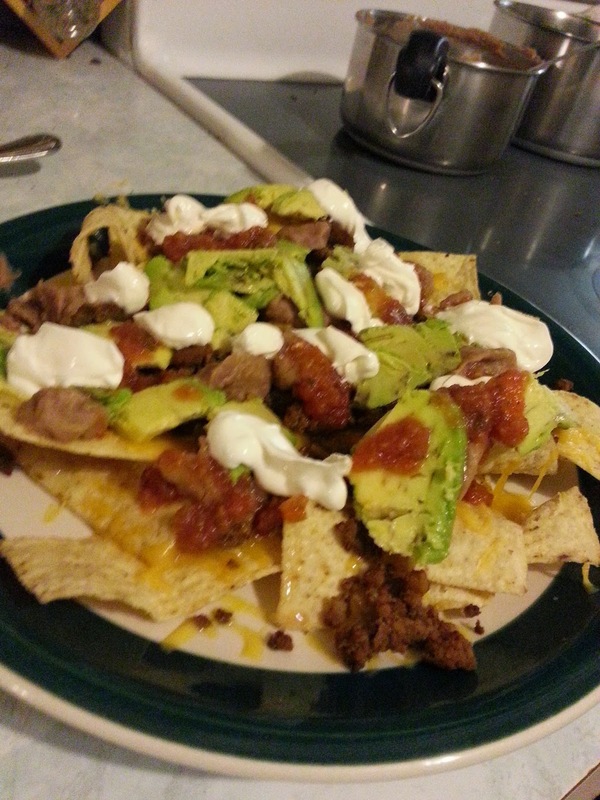 Bring out the china…the nachos are ready!